In the last issue (#86) we explored the obstacle: Real Estate Transfer Issues. In this issue we will discuss another obstacle: Bad Timing - Waiting too Long to Sell. To achieve perfect timing, you would be mentally prepared to sell when the company is coming off three great years. In addition, interest rates would be low, financing would be readily available, capital gains taxes would be low and the local and national economies would be in growth mode. How often does that happen? Well, maybe in the fall of 2007, but were you mentally prepared then? 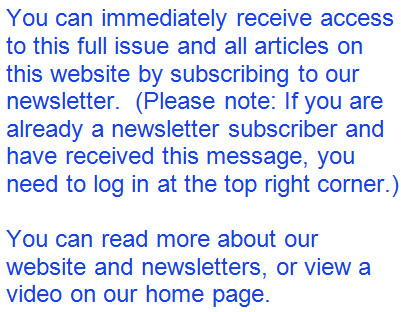 Not likely if you are reading our newsletters. And who’s to say if we will ever see an economic climate similar to 2007 again? Let's take a look at what General Electric (GE) has experienced primarily due to the economic climate since the fall of 2007. If you owned 10,000 shares of GE stock on 10/31/07, it was worth $411,600. One year later, it was worth $172,900, two years later $134,400, three years later $155,100 and four years later, on 10/31/11, it was worth $167,100. The stock lost 58% of its value in the first year, and since then has continued its downward trend. GE lagged the overall market since the market crash in the fall of 2008 through the fall of 2011, but it is very representative of how quickly things can change and how difficult it is to recover. Much like the stock market, business valuations are dynamic, not static. As discussed in Issue #57 of this newsletter series, small business valuations are primarily driven by Sellers' Discretionary Earnings (SDE), which might fluctuate a fair amount from year to year. Issue #80 provides a realistic example of a business valuation dropping by 33% in just six months because the owner could not maintain the pace of SDE in the current interim year of sale that had been achieved in the prior three years. So, things can change quickly. It is definitely better if you can sell coming off good years for your company and in a favorable economic climate. But even the experts can't predict what the economy will do in the short-term or the long-term. As I write this, the European nations agreed to bail out Greece, and the prime minister of Greece shocked everyone by declaring there would be a citizen referendum on Greece's participation in the plan. The market was up 2.25% yesterday on the good news of the bailout and down 2.75% today on the bad news of the action by the prime minister. Today unemployment is 9.1% while the Republicans and Democrats fight over actions needed to change the course. There is always uncertainty in economics, so it is usually best to avoid making it a major consideration in selling your small business. When your company's results are down, your business valuation goes down immediately. It usually takes three years of improving results to significantly increase your business valuation, whereas one bad year can immediately and significantly decrease the value of the business. At first glance, that doesn't seem fair. (It is fair and can be explained, perhaps in a future article on this website. However, Issue #80, Losing Focus - Decline in Business during Sale Process does provide some explanation.) Your perception of fairness won't change the facts, which need to be accepted. So, when should you sell? Only you can make that decision. One of the most important things to do to achieve flexibility in the timing of your decision is to Overcome the Power of Inertia and start planning for the sale of your business regardless of when you might sell. You need to identify the obstacles to a successful sale and address/mitigate them. Doing so enables you to be confident of a successful sale when you determine the personal timing is right for you. You should be aware that the best time to sell is when your business has had three good years in a row. CAUTION - that shouldn't stop you from selling at other times. I've seen far too many owners hold onto their business way too long - many to the point where they were not saleable. Too many owners think they can buck their negative trend and turn the business around. It seldom happens, especially when an owner is experiencing burn-out symptoms. A turn-around after a bad year requires a time investment of at least three years, and may require more. That's a huge commitment to ask of yourself if you are experiencing burn-out symptoms such as lack of enthusiasm for the daily activities you perform at your business; tiredness of doing the "same old, same old;" an overwhelming feeling that things are beyond your control; carelessness leading to mistakes/missed opportunities; or physical symptoms such as exhaustion, moodiness, or irritability. The most common timing mistake business owners make is trying to hold on and turn around declining results when they don't really have the enthusiasm or mental drive to make it happen. The turn-around effort can be stressful and lead to health problems that might further detrimentally affect the business value. It can lead to a non-reversible downward spiral that ultimately results in a business that cannot be sold. It happens often and it's a shame. Is your commitment and enthusiasm to turn around your business waning? While it is hard to predict the future economic climate, it is easy to see a downward trend in your operating results. Unless you are sure you have the drive to turn things around, it may be best to sell your business before the value declines further. Ask yourself this: "If I knew my business was declining over the past few years and I was unable to do anything about it, what's going to change to provide me with the inner fortitude to take on such a large task? Can I really generate the internal motivation to get it done?"